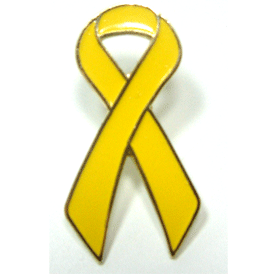 Show your support and care for our Troops with our Stock Yellow Awareness Ribbon. Yellow is the color commonly used for Support our Troops, Liver Disease, Suicide, Endometriosis, & POW/MIA. Every time I order from BizPins the order goes flawlessly from start to finish. I have had time sensitive orders and they always are on time.